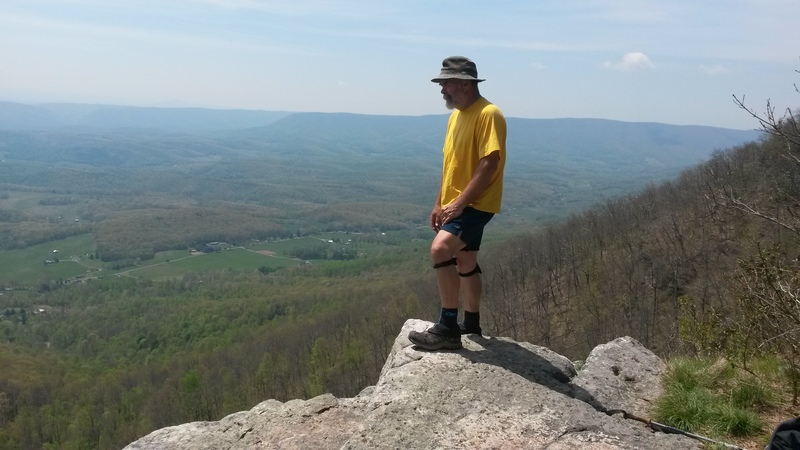 " HIKING FOR AUTISM "
Another 15.0 miles today with a quick resupply in Pearisburg, VA and a meal before leaving town. I loved the slack pack morning. We moved along very quickly and had time to take several nice long brakes and take in the views… Beautiful! Usually I’m sweating bullets and just want to crest the top of a hill and keep moving to get to the next planned stop. Frankie the sleeper was at Woods Hole last night also back from his reserve duty. It was really nice to see him… even without the beard. He is making tracks again for his next few months reserve days. I’ll see you again. Tomorrow we are making tracks for a place called The Captains. A home owner that puts out tall magic. The fun part is having to pull yourself across a river on a cable cart hand over hand above the water to get there. Also Chinn Music who hiked to Maine last year will be there making what all hikers love… cheeseburgers of course!!! A little over 15 mile, I can taste it now!!! The pics are of me and Time to Eat with Cambodia. He is keeping her from ending her hike… Foot pain like all of us. 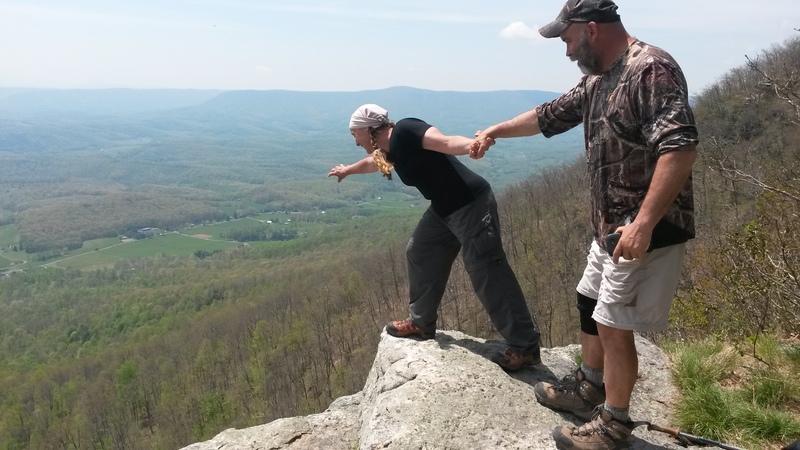 The view from the cliff was unbelievable…..
Really putting the miles away now buddy. Hat’s off to you! Subscribe to my blog and receive email updates.